The Cosmopolitan of Las Vegas and Azumi Group will join together to bring the contemporary Japanese restaurant Zuma to the resort in late 2016. Created and co-founded by chef Rainer Becker, the restaurant will be inspired by the informal izakaya dining style, featuring a menu designed to be shared with dishes from a sushi counter, a main kitchen and a robata grill. Designer Noriyoshi Muramatsu of Studio Glitt, who has worked with the group since its first venue, has been commissioned to create the interior of the Las Vegas outpost. It will be the Azumi Group’s first restaurant on the West Coast, and joins nine other locations in six countries. Zuma, 3708 Las Vegas Blvd. S., Las Vegas, NV 89109, 702-698-7100, 877-551-7772. Eggslut will open a location at The Cosmopolitan of Las Vegas in 2016. The concept started as a food truck in Los Angeles, then continued to gain a following for its gourmet egg sandwiches with a quick-service counter at Grand Central Market. Eggslut, 3708 Las Vegas Blvd. S., Las Vegas, NV 89109, no phone. The NYC-based seafood chain inspired by the founder’s home state of Maine, Luke’s Lobster, has opened its first Las Vegas location and first west of the Mississippi, on the Strip-side plaza outside the Fashion Show mall. Situated near Neiman Marcus, the 300-square-foot eatery celebrates all things Maine, with reclaimed barn wood, salvaged nautical gear and Maine Root sodas. The simple menu includes lobster, crab and shrimp rolls, chowders and bisques. A chalkboard menu tells guests where the day’s catch was caught. Luke’s Lobster is open daily for lunch and dinner. Luke's Lobster, Fashion Show, 3200 S Las Vegas Blvd., Las Vegas, NV 89109, 702-866-6602. Just days after shuttering his Tapas by Alex Stratta, the renowned chef reopened the restaurant in the same location, but with a new name and concept. The new name, Salt 'N Pepper, represents simplicity --- and the only type of seasoning needed for his Southern comfort food dishes. The menu includes fried pickles, mac and cheese bites, Cajun fried shrimp, pulled pork, biscuits and gravy with sausage, homemade chicken pot pie, a fried pork chop and barbecued pork ribs. The prices have also been scaled down, with appetizers, soups and salads ranging from $4 to $11, side dishes for $5, and main courses from $12 to $19. Salt & Pepper is open daily for lunch and dinner. Salt 'N Pepper, 440 S. Rampart Blvd., Las Vegas, NV 89145, 702-483-3555. 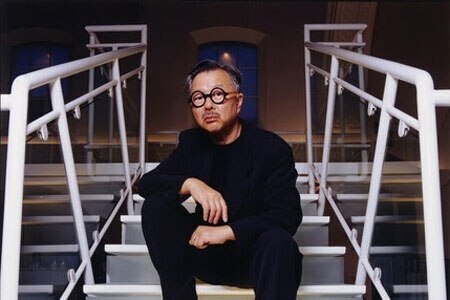 Joining Michael Chow's other trendy restaurants in London, Beverly Hills and New York is MR CHOW at Caesars Palace. Expect signature dishes such as chicken satay, green prawns, hand-pulled noodles and Beijing duck. MR CHOW, Caesars Palace, 3570 Las Vegas Blvd. S., Las Vegas, NV 89109, 702-731-7888. Carbone has opened at Aria Resort & Casino, and is Major Food Group’s first domestic expansion outside of New York City. Designer Ken Fulk has created an environment with a Vegas swagger; highlights include walls composed of tiles from New York subway stations, a floor-to-ceiling Murano glass crystal chandelier and artwork by renowned artists such as David Hockney. The fine dining Italian-American concept serves favorites such as spicy rigatoni vodka, veal Parmesan and lobster fra diavola, which is complemented by a wine selection comprised of 550 labels and a tableside vintage rum cart. Carbone is open for dinner Monday through Saturday, and is located on the promenade level next to Jean-Georges Steakhouse and BARDOT Brasserie. Carbone, CityCenter, 3730 Las Vegas Blvd. S., Las Vegas, NV 89109, 866-359-7757. Chef Brian Malarkey’s ocean-to-table concept, Herringbone, will open December 28 at Aria Resort & Casino, and will be Malarkey’s second restaurant in Las Vegas, joining his Searsucker at Caesars Palace. Herringbone will be helmed by executive chef Geno Bernardo, whom Vegas foodies will remember from his time at NOVE Italiano. The menu will pair seafood and responsibly sourced meat with farmers' market produce. Items will include stone crab with crispy rice, Chinese sausage, ginger, cilantro, chilies and peanuts; and skate wing schnitzel with spätzle, sea beans, mushrooms and mustard jus. Cocktail specialties will include the "Grow a Pear," with cucumber-infused gin, cilantro, jalapeño, St. Germain and lemon; and "A Buncha Malarkey," with Jack Daniel's, chili liqueur, mint, lemon and peach bitters. The restaurant will have both indoor and outdoor seating, live music and will be open daily for lunch and dinner. Herringbone, CityCenter, 3730 Las Vegas Blvd. S., Las Vegas, NV 89109, 866-359-7757. During December, the Golden Steer will offer a special menu dedicated to Frank Sinatra, who would have turned 100 December 12. Priced at $100 per person, the three-course menu is based on what Sinatra ordered when he regularly dined at the restaurant in the 1960s. Guests will dine in his actual booth (table 22), which seats up to four guests. His menu will include clams casino baked with white wine, bacon, diced red and yellow peppers and bread crumbs; a 16-ounce New York strip with sautéed diced tomatoes, garlic and white wine and medium rare, just like he ordered it; bananas Foster served tableside as a flambé; Jack Daniel's with three fingers of Jack and two ice cubes, prepared just as he drank it; Italian red wine; one Zippo lighter engraved with the date of Sinatra's 100th birthday; and one ticket for admission to The Mob Museum. Golden Steer, 308 W. Sahara Ave., Las Vegas, NV 89102, 702-384-4470. Honey Salt will commemorate Hanukkah, beginning December 6 and continuing through December 14. The restaurant will prepare seasonal favorites each of the eight nights, inspired by owners Kim Canteenwalla and Elizabeth Blau. All menu items are a la carte and are only available during the celebration. They will include matzo ball soup, potato latkes with house-made apple sauce, Grandma Rose’s slow-roasted brisket, and Hanukkah doughnuts made with vanilla sugar and apple cider caramel. Honey Salt, 1031 S. Rampart Blvd., Las Vegas, NV 89145, 702-445-6100. CRUSH eat, drink, love at MGM Grand is now offering a weekly Friday brunch, served from 2 p.m.-6 p.m. Held in the restaurant’s 150-seat Bodega Room, the “CRUSH Fridays Brunch Party” features VIP bottle service, DJs, live music and an exclusive menu from corporate executive chef Billy DeMarco. Menu items, all priced between $10 and $19, include Snickers pancakes with strawberry compote and sweet cream; short rib hash mixed with roasted potatoes, piquillo peppers and eggs; and bananas Foster French toast topped with candied hazelnuts. 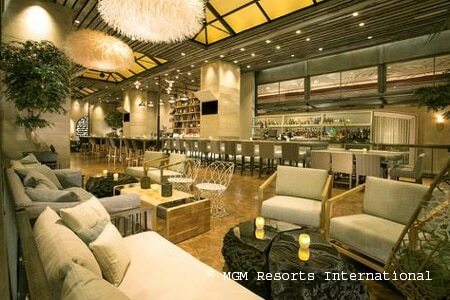 CRUSH eat, drink, love, MGM Grand Hotel & Casino, 3799 Las Vegas Blvd. S., Las Vegas, NV 89109, 702-891-3222. From November 16-19, 2015, Sushi Roku will commemorate its 11th anniversary in Las Vegas at the Forum Shops at Caesars by offering 50 percent off all food items during dinner hours (Monday-Thursday 4 p.m.-10 p.m.). Along with signature items such as seared albacore sashimi, new fall dishes will include grilled lamb chops with truffle chimichurri, tuna poke with bamboo rice and scallop with wild mushroom tobanyaki. Guests must mention the anniversary promotion to receive the discount. Sushi Roku, Caesars Palace, Forum Shops at Caesars, 3500 Las Vegas Blvd. S., Las Vegas, NV 89109, 702-733-7373. Emeril Lagasse's Delmonico Steakhouse in The Venetian will celebrate truffle season with a special eight-item menu featuring white and black truffles, with wine pairings from master sommelier Kevin Vogt. Dishes will include crispy sweetbreads over wild mushrooms and Fontina toast, parsley garlic oil and fresh black truffles ($25), paired with the 2011 Domaine Trimbach Pinot Gris Reserve ($12); rabbit fricassee over pappardelle pasta with fresh shaved black truffles ($50), matched with the 2010 Domaine Moillard Nuits-Saint-Georges ($24); and roasted kabocha squash and truffle mascarpone parfait with truffle candied kabocha squash ($18), paired with the 1953 Barbeito Bual Reserva Madeira ($39). This menu is available November 16-22, 2015. Delmonico Steakhouse, The Venetian, 3355 Las Vegas Blvd. S., Las Vegas, NV 89109, 702-414-1992. 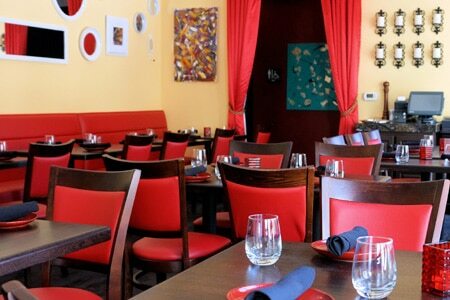 Chef Alex Stratta has closed Tapas by Alex Stratta in Tivoli Village. It has been replaced by a new concept called Salt N' Pepper, featuring Southern comfort food. Tapas by Alex Stratta, 440 S. Rampart Blvd., Ste. 180, Las Vegas, NV 89145, no phone.